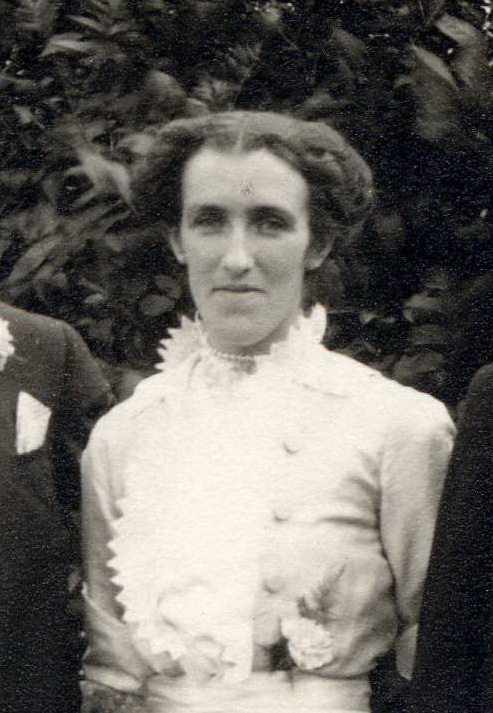 Helen McNab WATSON (always known as Nell) was the third child and first daughter born to tenant farmers Thomas WATSON and his wife Jane (MUIR) WATSON. Her birth on 10 September 1890 occurred while her parents were still trying to earn a living at Mount Oliphant Farm, Ayr, Ayrshire, Scotland. Within about three years the family started the many moves throughout the Lowlands of Scotland that would characterize the next twenty years of her life before she immigrated to Saskatchewan in 1910. Nell was named after the Scottish naming pattern for children; as the first daughter she was named after her mother’s mother Helen McNAB. What do we know of Nell’s first years? As the eldest daughter she would have been expected to help her mother with the five younger children, cook, clean for the whole family and do farm work such as feed the chickens, milk cows as well as attend school. She also learned to shoot and hunt; perhaps rabbit stew featured on the Watson family menu. In later years she was an avid reader and enjoyed gardening, activities than must have had a genesis in her early years. 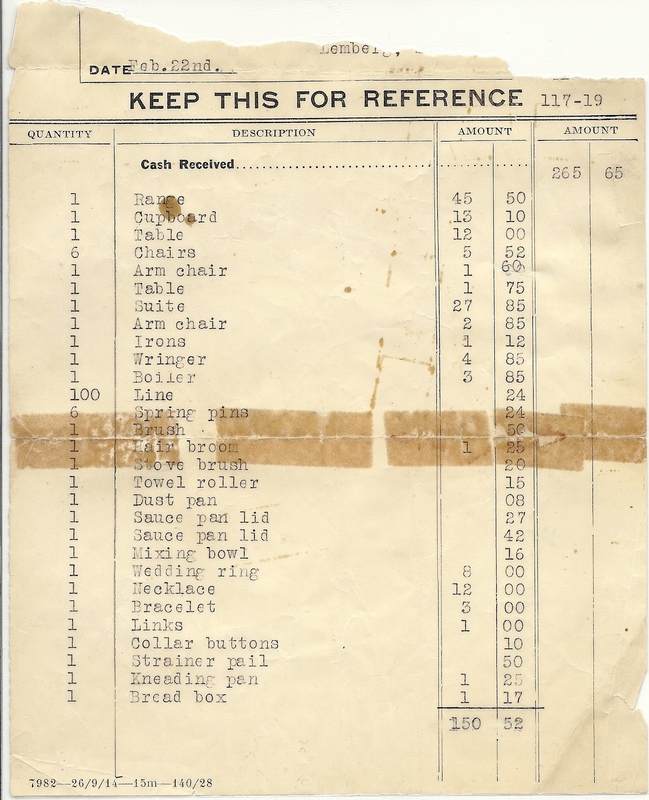 As soon as she had completed school, about age 15, she would have been expected to work away from home as a domestic servant to help augment the family’s income. 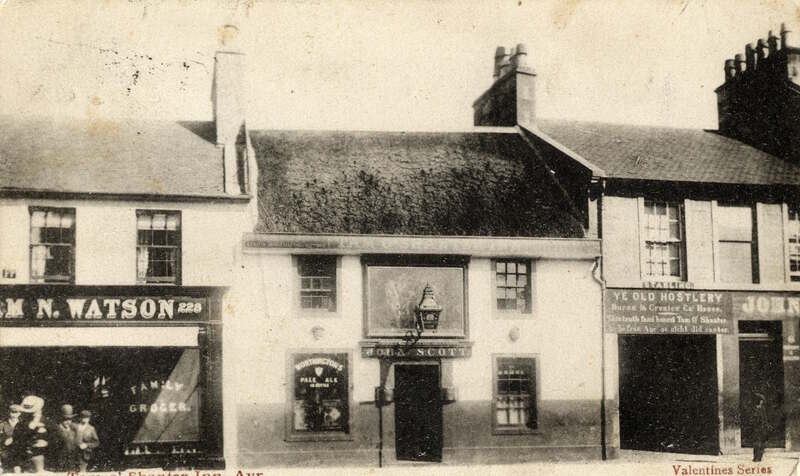 We know this as she sent a postcard (below) from Ayr to her father in Kiersbeath, Dunfermline, Scotland on 22 September 1905, the message on the postcard “Down here at the races for three days, N.W”. In June 1906 when Nell was 16, her older brother Jim, 17, immigrated to Canada. Three years later her brother William (Bill) also immigrated. This changed Nell’s perception of the world. Postcards from the time show that the family was in constant contact and sent newspapers to Jim and Bill now working as farm labourers in Manitoba. No doubt conversations had started to convince the parents Tom and Jane to immigrate to Canada as well. On 10 March 1915 Nell married Joseph (Joe) Francis ACTON, a local farmer. The marriage took place at the farm home of her parents. For this photo, which appears to have been taken at a photographer’s studio, the young couple probably travelled by horse and cart to Wolseley and dressed in their wedding finery once they got to the studio.